Last week another criminal case caught national headlines as a student claiming self defence in his killing of a father of ten with a single punch had an appeal against his conviction dismissed by the Court of Criminal Appeal. The student, karate-trained and under the influence of cocaine and alcohol at the time of the incident, was originally given a six-year sentence after being found guilty of manslaughter in 2016 after it was found he had not acted ‘in self defence’ when he struck the victim with a ‘powerful punch’. 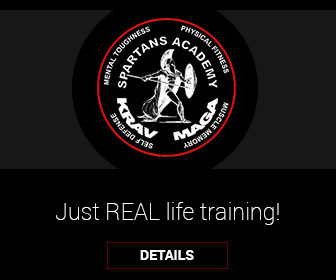 This case contains a series of lessons for the serious Krav Maga practitioner. Too many schools emphasise the physical striking abilities and aggressive responses (which are integral parts of effective Krav Maga) but neglect to cover the equally important aspect of what self defence actually is. Self defence is not self defence when you suffer the consequences of legal action, financial ruin, loss of employment and family breakdown due to not distinguishing between your rights to defend yourself and when you don’t have these rights. It is important to understand when you can apply self defence as a legal argument. Let’s look at the law before we apply it to sensible Krav Maga principles. It is a principle in English common law that a person is entitled to use reasonable force in defence of self or another person. This principle also extends to property or in the prevention of crime or apprehending a criminal. The first question that a jury must ask is: Did the defendant believe, or: May he have believed that it was necessary to use force to defend himself an attack or imminent attack on himself or others or to protect property or prevent crime? The second question is: Was the amount of force used reasonable in the circumstances, including the dangers as he/she believed them to be? To have ‘a genuine belief that force is necessary’ means that the claimant of self defence genuinely believed that force was required. It doesn’t matter if he or she is later proven to be mistaken, it is the belief at the time that matters. For example, a person in a clown costume jumps out on you from behind a fence whilst walking down the road swinging a look-a-like weapon in a prank to scare you, it is your genuine belief that you were about to be attacked that will be assessed in terms of any future prosecution (if you defended yourself using violence), not the fact that it was shown after the event that it was your next door neighbour with a plastic knife looking for some fun. A mistaken, unreasonable but genuinely-held belief in the need for force is enough. Importantly, in relation to the case referred to in this article, the following is important: The only exception is if your mistaken belief is due to your voluntary intoxication. Another reason to be very careful with drinking alcohol or taking illegal substances. They make your claim of self defence much more difficult to put forward. To apply ‘reasonable force’ is judged by the circumstances as the claimant of self defence believed them to be, even if he was later shown to be mistaken about them. If you reasonably believed the clown had a real weapon, even if it was later shown to be plastic, doesn’t matter, as long as you can show the self defence force was applied according to a genuinely held belief at the time. There is no ‘duty to retreat’ in the case of self defence and preemptively striking without waiting to be hit (with genuine belief, using reasonable force) is a long established principle in self defence law. How do these legal principles apply to well-taught Krav Maga? In our school, we try to simplify not only our techniques and tactics as complex thinking is not a friend of high stress, adrenaline-peaking violent situations. Time and physiology is your enemy as these happen in seconds and your heart rate and closure of the neocortex in your brain prevents much of the rational considerations you otherwise would apply. The principle of simplification of the physical responses equally apply to our intellectual thinking facing such scenarios. If an aggressor has an ‘intent’ to attack or take your property and he has the ‘means’ (physical ability and/or instrument/weapon to inflict damage), you should always seek to avoid the ‘opportunity’ for violence to happen, by for example keeping sufficient distance to the criminal and not voluntarily seeking to close this distance (this will make your argument of ‘genuine belief’ more problematic to use if claiming self defence later). Distance, avoidance, deescalation and situational awareness are therefore critical skills, and when combined with criminal psychology, camouflage behaviours and legal understanding, these are your primary, secondary and beyond responses to violent threats. The physical response is ultimate and final when violence appears unavoidable. 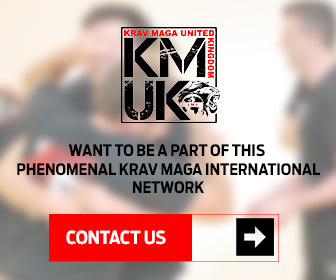 Having established the principles that ‘intent’, ‘means’ and ‘opportunity’ is present in the threat – often done via simple verbal communication taught in our classes – the Krav Maga response can be applied, and will be applied aggressively and effectively, often preemptively, but reasonably, knowing that self defence can be argued legally with a level of certainty that would not exist without the process just applied. Self defence is more than physical self defence. If you haven’t learned this yet, you’re still with a dangerous gap in your Krav Maga training.